Happy first day of Autumn. 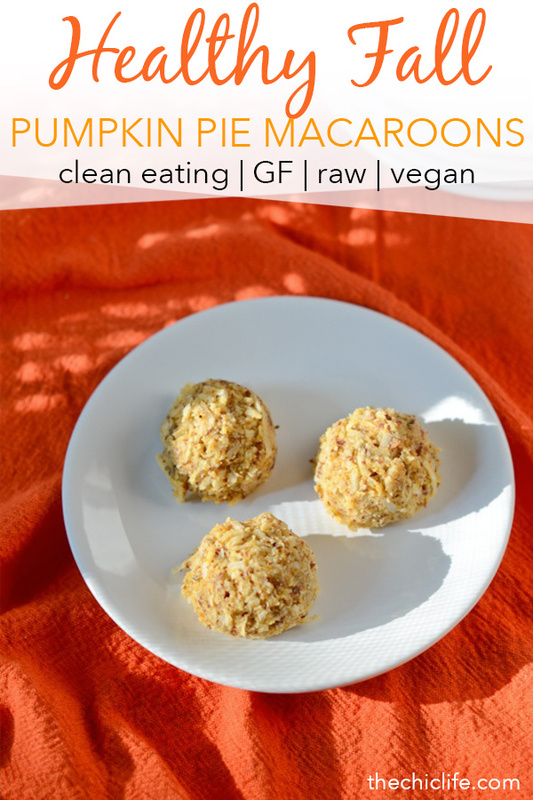 In celebration of the start of one of my favorite seasons, I’m sharing my first fall-themed recipe with you: Pumpkin Pie Macaroons Recipe. This is healthy, vegan, gluten-free, and raw. I think they’re paleo too! Coconut macaroons are my favorite thing to make in the dehydrator because I’m a big fan of healthy desserts. 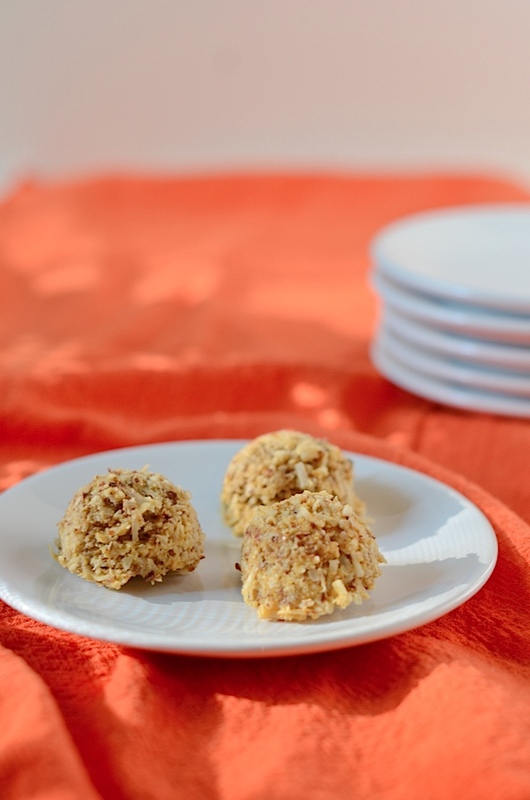 When I was coming up with this recipe, I remember thinking that my original macaroons were somewhat difficult to make and really time-consuming. I realized that a shortcut I took for this one saved a ton of time and energy. The trick is to use almond meal. Processing almonds in the food processing is really easy, but it adds another step. The real problem for me is all that clean-up. Is it just me or are food processors a total pain to wash? I prefer to hand wash them, so maybe that’s my hold-up. Anywho, almond meal is a great time-saver if you want to take it up. 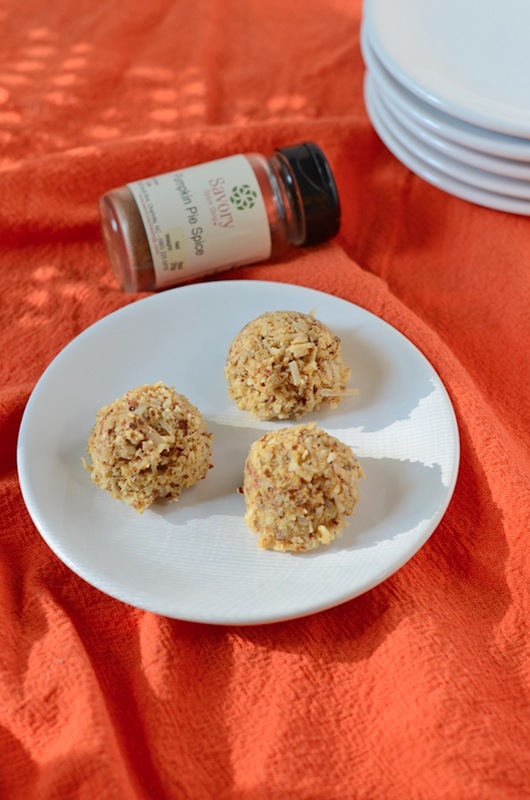 I got a bag at Trader Joe’s for (I believe) $5.99, and this had more than enough for this healthy coconut macaroon recipe, plus the Coconut Almond Chicken Recipe I posted yesterday. And then some. I still have more waiting for me in the freezer as I type. It tastes like pumpkin pie! Success! And you too can enjoy this with the detailed recipe at the end of this post. I used the Savory Spice Shop Pumpkin Pie Spice. I love that you can get this in a small bottle because I don’t use a ton of this spice blend. 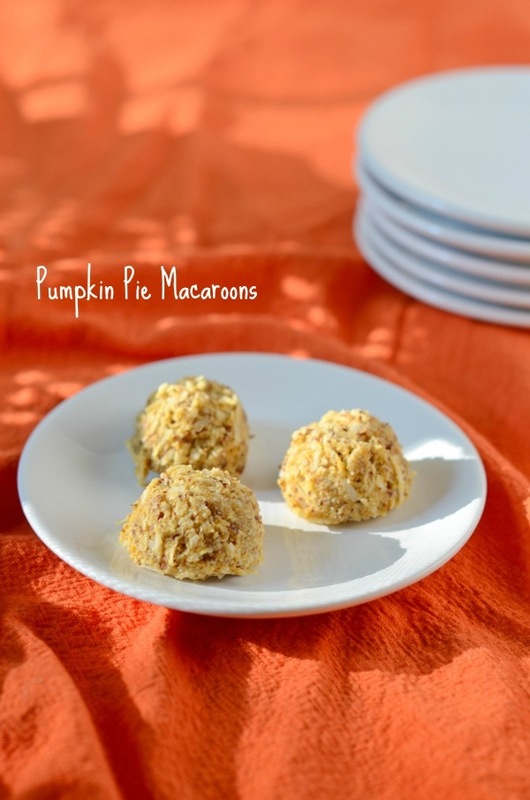 This Pumpkin Pie Macaroons recipe is super easy and makes a great fall recipe. I find it took a little longer in the dehydrator than my original recipe, but the results make for a great fall twist on my classic macaroons. 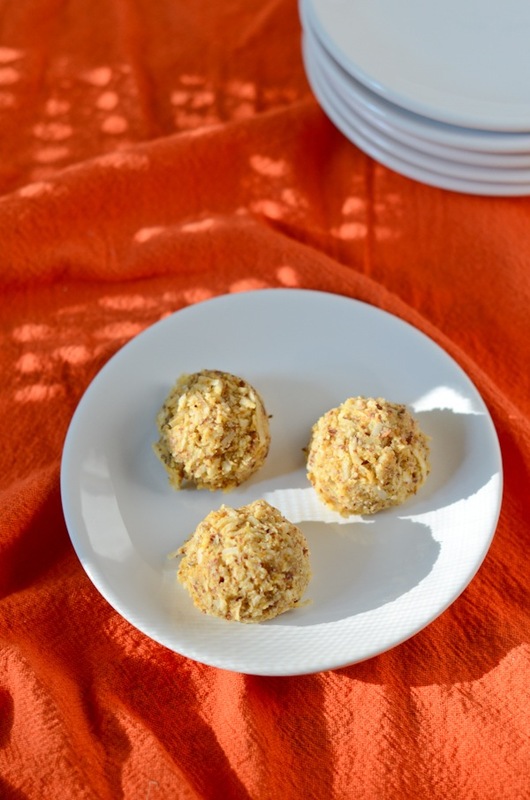 In a large bowl, whisk together canned pumpkin, maple syrup, and coconut oil. Add coconut flakes, almond meal, pumpkin pie spice, and kosher salt and stir until evenly combined. Using a small ice cream scoop (1-inch deep), scoop mixture, pressing mixture into scoop to tightly pack. Remove macaroon from scoop, press together to create a well-formed macaroon with a rounded top. (it may get a little wonky when you remove it from the scoop, so just carefully re-form). Place macaroons, well-spaced, on dehydrator trays. Dehydrate for 8-12 hours, depending on how fast your machine works or how you like the texture of your macaroons. 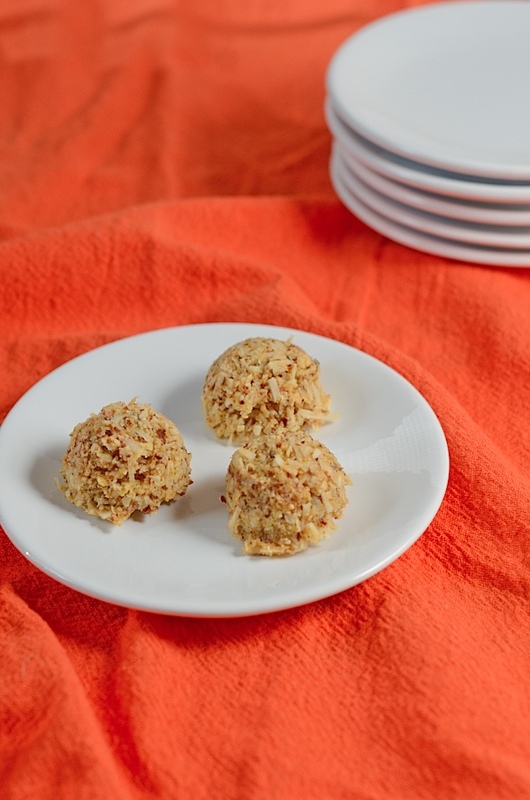 Allow the macaroons to cool and enjoy! Note: Be sure to use plain canned pumpkin, not pumpkin pie filling. Note: Be sure to check your ingredient packages if you’re following the gluten-free diet to ensure the ingredients are truly GF. Some are processed on equipment with other items that contain gluten. What’s your favorite fall recipe? What other fall recipes would you like to see here on The Chic Life?